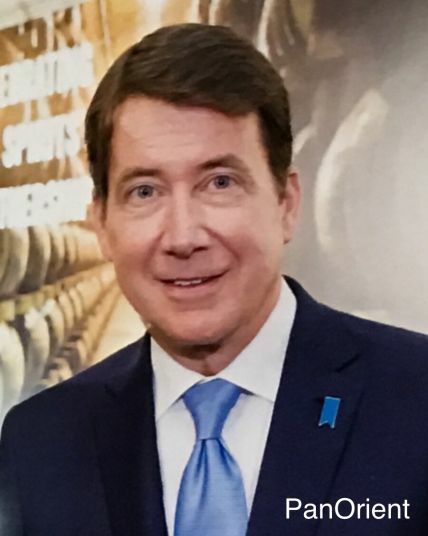 Tokyo - (PanOrient News) The U.S. ambassador to Japan, Bill Hagerty, released a video this week describing the relationship between the U.S. and Japan as “the most important relationship enjoyed by any two countries in the world today.” He released the video to mark the end of his first year as ambassador. In the video, Ambassador Hagerty pointed out the various top U.S. officials who have visited Japan in the last year, including President Donald Trump. The ambassador also described the U.S.-Japan relationship as a “special bond” and an “unshakable alliance,” saying that “we could not have a better partner than Japan” in facing the North Korea security threat. Although Japanese Prime Minister Shinzo Abe and President Trump have spoken numerous times and visited each other, the long-time allies have not always had the smoothest relationship under the current American president. Areas of difficulty have included trade disputes and Trump’s earlier threats to make Japan pay more to support U.S. forces stationed in the country. The American ambassador described Trump and Abe as having forged “not only a great working relationship, but also a close personal bond.” He also said that the U.S. will continue to press for the return of Japanese abductees being held in North Korea. “Thank you to the president, the administration, my great mission staff, and importantly, our great partners here in Japan, for making my first year so fruitful, rewarding, and memorable,” said Hagerty.